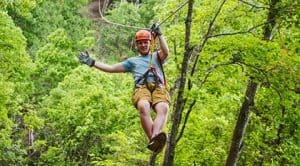 From caves to helicopters Branson offers a variety of outdoor activities sure to keep even the most active person happy. 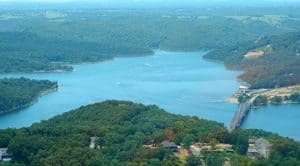 The three lakes that surround Branson, Missouri — Table Rock Lake, Bull Shoals Lake, and Lake Taneycomo — provide many opportunities to immerse yourself in the natural beauty of the Ozarks. 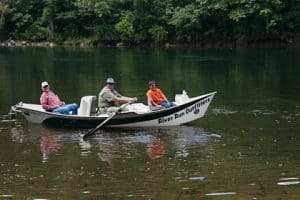 While the blue, tranquil waters of Table Rock Lake and Bull Shoals Lake are ideal for swimming, boating, and watersports, Lake Taneycomo offers one of the greatest trout fishing experiences in the world. Here, visitors year-round enjoy fly and bait fishing brown and rainbow trout in the lake’s cold, clear waters. With thousands of miles of shoreline surrounding the three lakes, there is plenty of space to explore and escape the hustle and bustle of everyday life. 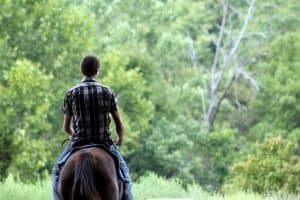 Hiking and horseback riding trails surround the shoreline and provide many stunning views of the Ozark countryside. When it’s time to turn in, book a spot at one of Branson, Missouri’s many campsites, which are available for both RV and tent camping. 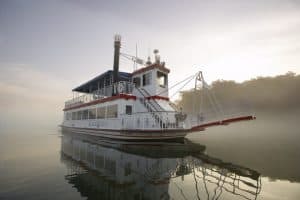 Missouri is well-known for its limestone caves, and in Branson, you’ll find sightseeing caves, such as Silver Dollar City’s Marvel Cave, as well as smaller caves along the hiking trails. 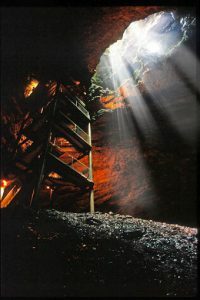 Marvel Cave has long been one of the area’s most popular attractions. At Silver Dollar City, you can experience a 60-minute guided tour that takes you 300 miles beneath the surface and into the breathtaking beauty of the largest cave entrance in the United States. Book with Branson Tourism Center today to receive discounts for the theme park and cave tour. 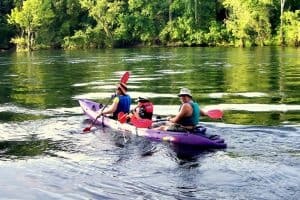 In addition to fishing, camping, and hiking, Branson, Missouri also provides plenty of opportunities for outdoor adventure. 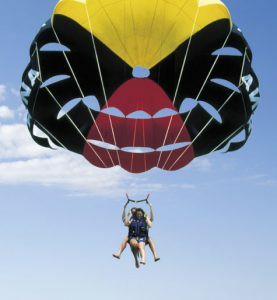 If you are seeking a thrill, sign up for parasailing on Table Rock Lake where you’ll receive stunning views of the water and hills from above. Once you’ve tried parasailing, take a trip up Highway 65 to visit the Branson Zipline. 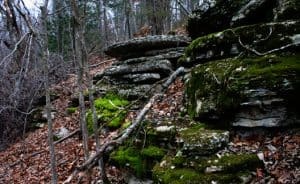 While taking a canopy tour of the Wolfe Creek Preserve, you’ll receive a unique vantage point of the Ozark Mountains and the surrounding area. 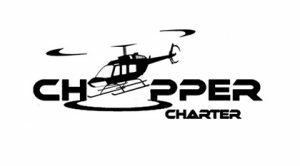 Book here to receive exclusive discounts on your zipline experience. 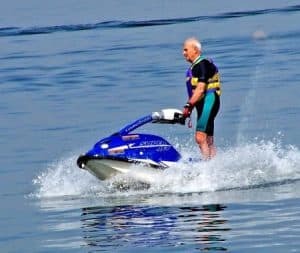 For information on outdoor activities in Branson, Missouri, stop by Branson Tourism Center. Our friendly and knowledgeable staff always love to talk to new visitors and welcome you to the magnificent Ozarks.